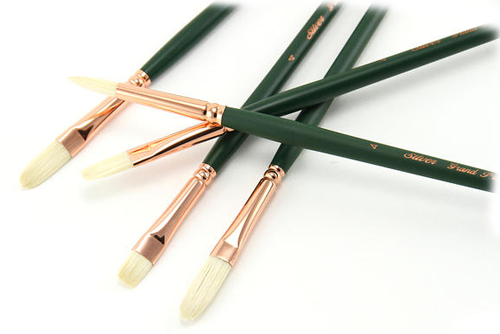 Grand Prix® brushes are of outstanding quality. Perfectly balanced and shaped, they feature interlocked 100% Chungking white hog bristles for maximum color carrying capacity and corrosion-resistant double crimped pure copper ferrules with an epoxy seal for added protection. This series is a favorite among Plein Air painters!